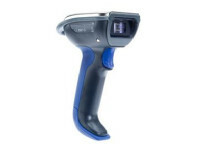 The Intermec SR61HD DPM handheld scanner is a customized variant of the SR61 family, capable of scanning high density bar codes and direct part marks commonly used to track assets in defense, aerospace, automotive, pharmaceutical, and telecommunications industries. 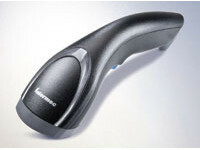 Since this scanner is built on a common hardware platform, it is a much more cost-effective solution for scanning direct part marks when compared to specialized, purpose-built devices. 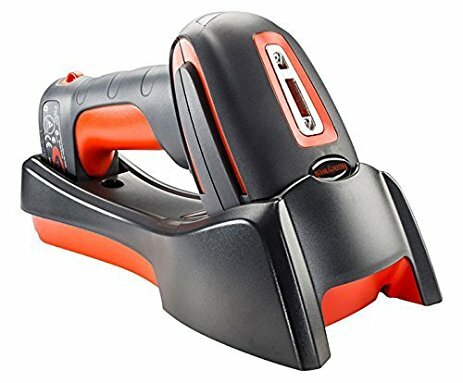 With a customized imager, the SR61HD DPM can reliably scan marks applied with a variety of manufacturing processes: dot peening, chemical etching, laser etching, casting, engraving or stenciling—while still providing snappy performance on standard bar codes. The high performance imager is capable of scanning very fine marks (as small as 3 mils for 1D codes and 5 mils for DataMatrix codes), features unmatched motion tolerance (up to 500 in/sec) for incredible responsiveness, and includes advanced built-in capabilities that increase scanner versatility: data parsing, multi-code reading, and image/video capture. 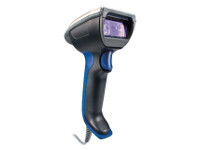 Like all SR61 scanners, the SR61HD DPM features a high impact housing and a solid state design that exceeds industrial and military standards and can be counted on to perform well in harsh environments where dust, moisture or extreme temperatures are the norm. The flexibility of the SR61 family translates into increased productivity, while keeping costs down. Seamless integration with Intermec computers, printers, and standard PCs is supported. Additionally, users may connect to a multitude of host devices running inventory management, picking, shipping and receiving, cross docking, work-in-process, tool crib, and pallet tracking applications. To save time during deployment, the SR61 family includes Intermec’s exclusive EasySet™ software setup tool for rapid configuration and personalization of your scanner system. Quickly set security options, symbology choices, beeper tones and volume, specify good read and error read responses, and make many other customizations.